Former world number one Tiger Woods will at long last grace the fairways again, announcing his return to competition at the tournament that benefits his own Foundation this week – the Quicken Loans National at Congressional Country Club. 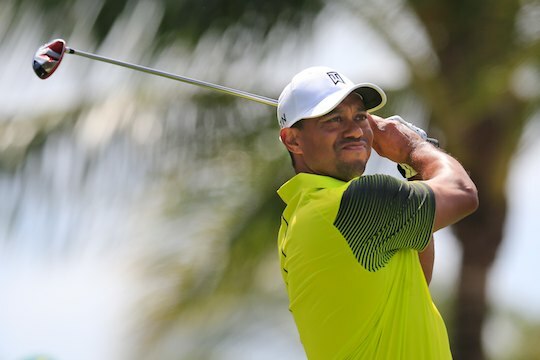 Woods hasn’t played since undergoing microdiscectomy surgery for a pinched nerve in his back on March 31, having competed for modest results in just three PGA Tour events and another on the European Tour in 2014. The surgery has kept the 14-time major winner out of the first two major championships of the season and allowed Adam Scott to usurp the No. 1 ranking from the 38-year old. He is currently ranked No.4 behind Scott, Henrik Stenson and Bubba Watson. Woods’ return to the game will be eagerly anticipated with U.S. network ratings for golf taking a hit during his absence. There is still much to play for in the year for Woods with the British Open next month at the scene of his 2006 triumph, Royal Liverpool, the PGA Championship at Valhalla and the Ryder Cup in October looming in his sights. At present, Woods would need to rely on a captain’s pick from Tom Watson to take his place on the U.S. team in Scotland in October but as his agent Mark Steinberg told Golf.com, his future schedule will be assessed based on how his back responds.